Tablets are cool and cutting edge, and the touch screen capabilities can be extremely useful for some tasks and are a preferred method of browsing for many users now since the movements are often more intuitive than mouse movements. On the other hand, they are not useful for typing lengthy email replies as even the best on-screen keyboards do not have the feel of separate keys that allows most of us to type at high speeds without looking at every letter, and they can be a little low power for some programs. 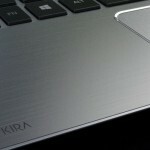 Laptops have the power and typing capabilities that tablets do not, some almost equaling a desktop computer, but can be heavy and clunky and lack the latest in touch-screen functionality or app compatibility and connectivity. Fortunately, you no longer have to choose between the two. 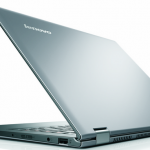 Ultrabooks are a hybrid of laptop and tablet and combine the best features of both, making up for what each lacks. 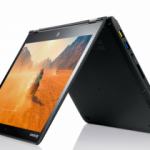 Super slim and scarcely any heavier than a tablet, Ultrabooks nonetheless use advanced processor technology to rival many laptops in processing power. They have a full keyboard to let you work on documents and long emails rather than being limited to the short replies a tablet allows, but also swivel around to focus on the touch sensitive screen for games, videos, presentations, or apps. You can keep all your documents and connections on one lightweight device, always at your side and ready at a moment’s notice to fulfill any job you have for it. 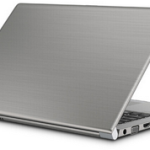 If you’ve been struggling over the choice of replacing your laptop or switching to a tablet and worrying about missing out on the functions each is missing, an ultrabook might be just the thing for you. It is equally suitable for business or pleasure, making it perfect for the traveling worker who needs something to fill the time waiting at the airport or in the hotel.